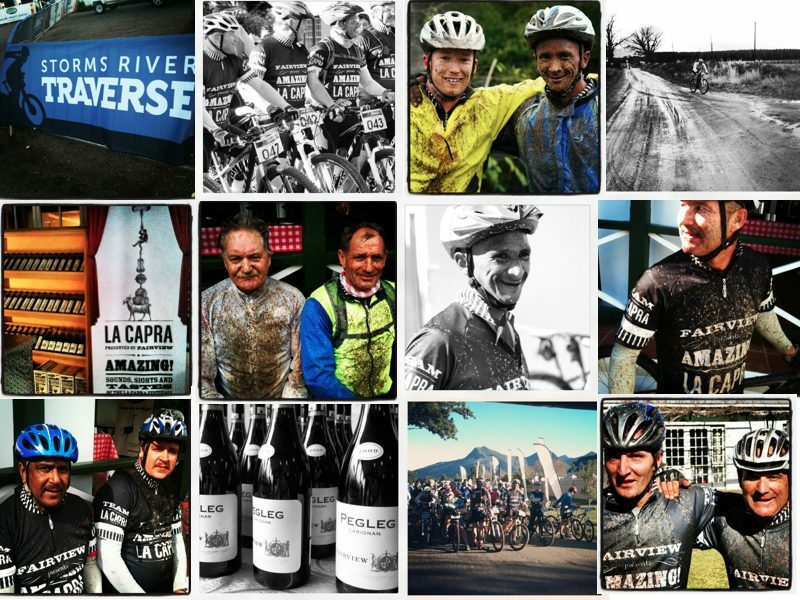 Storms River Traverse 2012 | Welcome to Fairview's Blog! LeRoy Rogers & Riaan Weyers. The stages, which averaged a little over 50kms a day, are aimed at mountain bike enthusiasts who enjoy the sport and their family members, who are willing to endure the elements in support of their loved ones. The three-day stage race kicked off on Friday morning with sunny skies and high spirits, soon to be met by steep descents and muddy terrain. The first stage was not without its hurdles to which LeRoy can testify (having to replace numerous parts on his bike). Fortunately Riaan could assist emotionally and physically and they still managed to finish stage 1. Nico, the newest member to the MTB team (as recent as three weeks), did a tremendous job under the watchful eye of Eben. Proudly all our teams finished stage 1, 2 and 3 without major injury and with their team spirit, egos and friendships in tact. Charles and Donald (army buddies since 1974) went into MTB combat, and with “strategic planning and some tactical moves”, according to Charles, finished the race in 6th place in the Open Men category – obviously their general level of fitness also came in handy. The winning team in the Open Men category, Anthony and Charl, proved that their cycling capabilities were equally as good as their winemaking capabilities. Nico Januarie was acknowledged by his peers for his perseverance and fantastic achievement on the track, ending up in 3rd place with Eben Uys. Nico also received a free entry for himself and another team member for next year’s Storm River Traverse. So well done and congratulations to our teams, you do us proud. To the rest of the staff – dust off your old bike and start training for next year, because our boys have set the bar very high and don’t mind a little “mud on the face”.